Who doesn’t like tasty fats and satisfying salts? But consider the price you pay for most chips… a moment on the lips, forever on the hips (and in your arteries). One handful of potato chips is about 100 empty calories full of saturated fats and preservatives. no thanks! 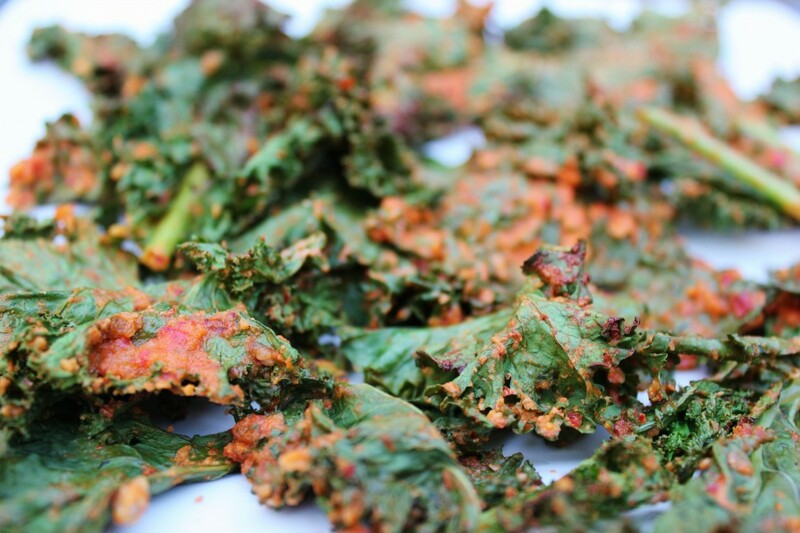 So, I’ve been experimenting with kale chips as an alternative to the standard potato chip and if you’re a chip lover give this recipe a try…it will make you give up Lay’s in a heartbeat. 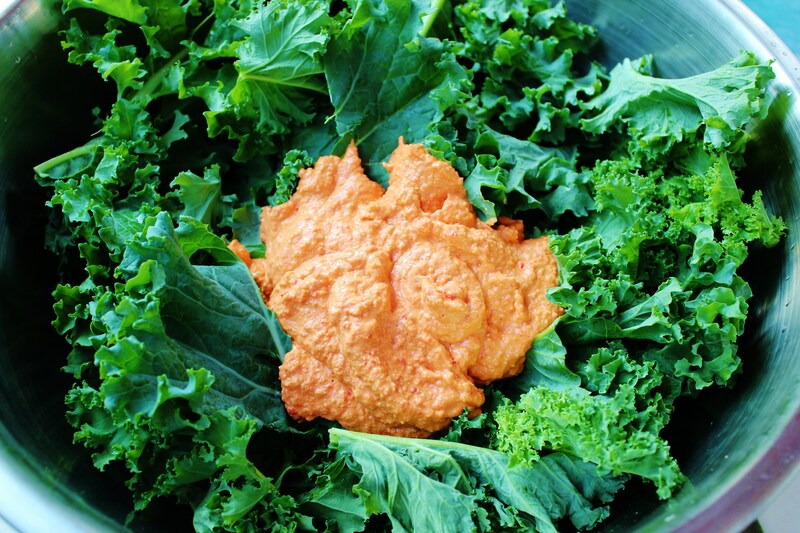 The recipe below is a tiny bit adventurous involving a dressing with nutritional yeast that gives a slightly cheesy flavor to the chip. Or, you can keep your chips simple and use olive oil and sea salt to taste. 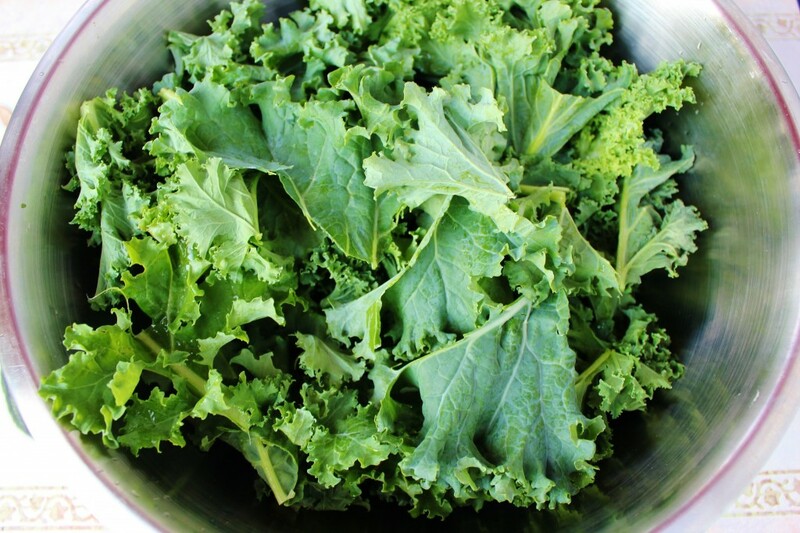 Tear kale leaves into bite sized pieces, wash in a salad spinner, and toss into a bowl. 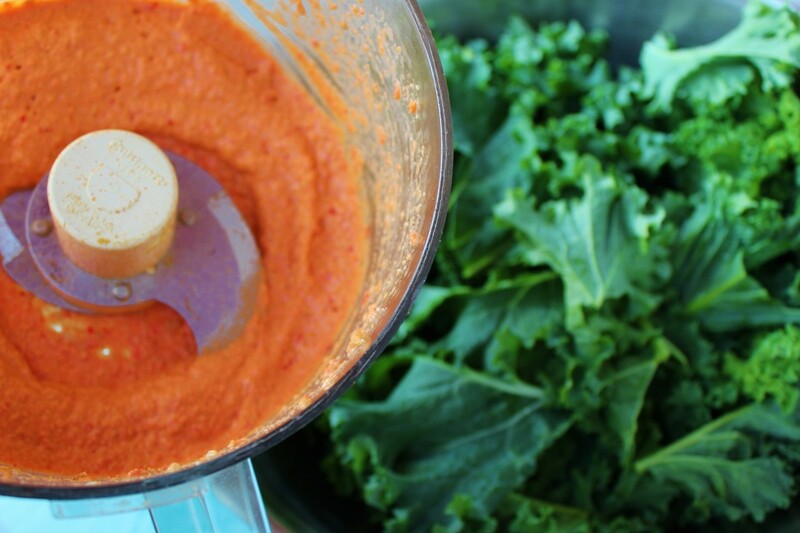 Blend the rest of the ingredients in a food processor and then mix the pureed coating with the kale making sure it covers the kale evenly. 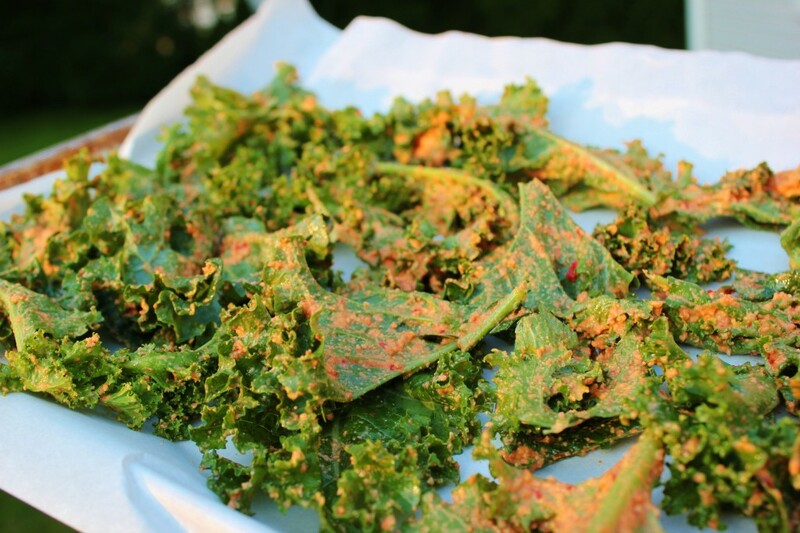 Place the kale onto baking sheets lined with parchment paper. Place in oven and bake for 10 minutes, turn over and bake another 5-10 minutes until edges are browned and kale is crispy. Prefer green pepper over red and go easy on the salt. ok in moderation and recommended with a heavier oil such as olive or sesame oil drizzled over top of chips before they go in the oven so they aren't quite as drying.